This article introduces an effective and professional PDF Editor for macOS (10.12 Sierra, High Sierra 10.13, Mojave 10.14 included), and a step-by-step guide on how to edit PDF text, pages, images, form on macOS (Sierra 10.12, High Sierra 10.13, Mojave 10.14 included). 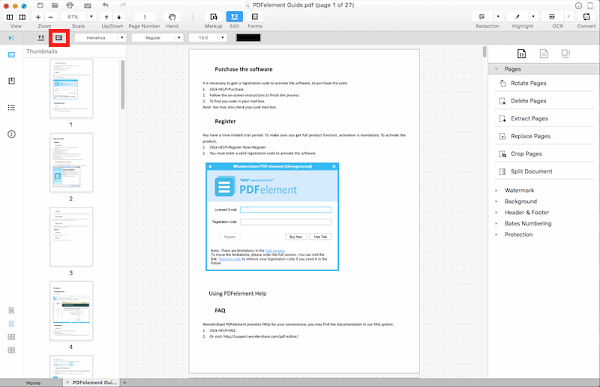 Wondershare PDFelement for macOS is effective and professional PDF Editor for macOS (10.12 Sierra included) which packed with professional tools that let you edit, combine, transform and organize PDFs with ease. The PDFelement for macOS is fully compatible with 10.12 Sierra, 10.13 High Sierra, 10.14 Mojave, 10.11 El Capitan, 10.10 Yosemite, 10.9 Mavericks, 10.8 Mountain Lion, 10.7 Lion. Allows you simply edit, modify texts, images and pages in your PDFs with a number of editing options. 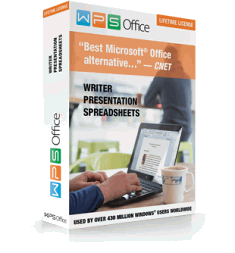 Makes scanned PDF searchable and editable. 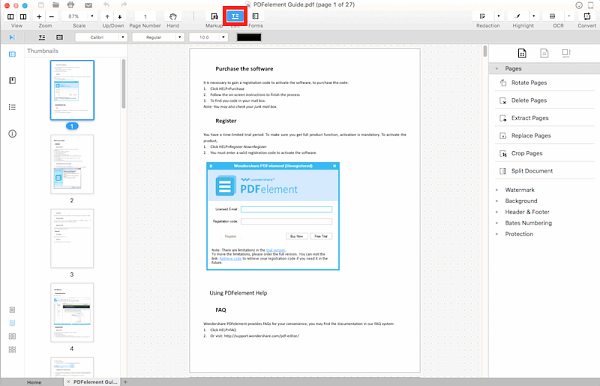 OCR recognizes text, numbers and images with precision and maintains document layout. OCR supports over 20 languages. Convert PDF from or to other popular file formats in batches at ultra-fast speed. The output files still keep the original layouts, making it easier to modify and repurpose documents. It not only lets you fill out PDF forms smoothly without any problem but also gives you the possibility of creating a personalized form with various options like text fields, buttons, drop-down list etc. Annotate, Password Protect, Digital Signature, Extract, Merge & Split, Redact, Headers & Footers and Insert & Replace. Download Wondershare PDFelement for macOS. 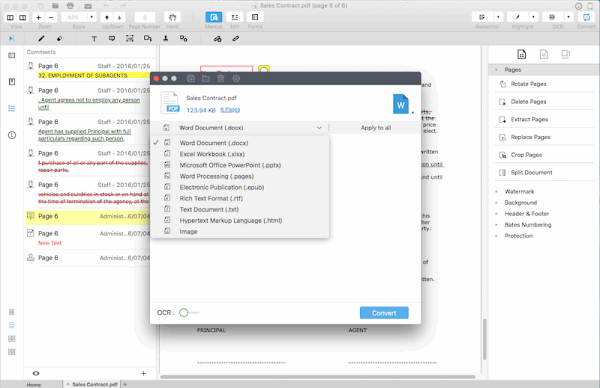 Copy this PDF Editor for macOS to application and run. Open your PDF file with the PDF Writer for macOS; Click on the “Edit” tab in the top toolbar to enter into the editing mode. To add PDF text: Choose “Add Text” from the toolbar, and click on the blank area on the page and type in the text to add. 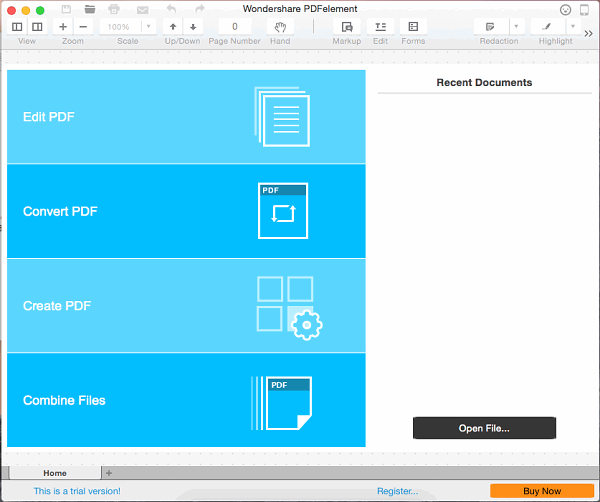 Open your PDF file with Wondershare PDFelement for Mac; Click on the “Edit” tab on the top toolbar and you will see many options in the next toolbar. To crop images: Use Touchup Tool to select an image in the file and then click Crop Image in the toolbar. Drag the mouse to select a portion of the image to crop. Open your PDF file with the PDF Editor for macOS; Click “Convert” on the toolbar; Customize page range for conversion, output folder in the pop-up window and click “Convert” button; Your PDF file will be converted to Word document in seconds. Then you can edit PDF files in Word in macOS.